DLK offers the most comprehensive and effective Skin Laxity Program designed to treat sagging, loose skin of the face and neck without surgery. This program is ideal for patients wishing a non-invasive and non-surgical option to treat skin laxity and loose skin of the brow, cheeks, jowls and neck. DLK Skin Tightening Face Treatment uses radiofrequency energy deposited deep in the skin to target aging collagen. The resulting effect is an immediate tightening and lifting of the skin and underlying tissue which continues to increase for up to 6 months. DLK Skin Tightening Body Treatment uses radiofrequency to deliver energy to tighten the underlying layers of your skin, while giving your body a boost in natural collagen production for tighter and smoother skin on body parts like the tummy, arms, thighs and buttocks. 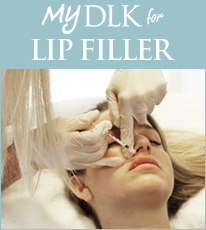 DLK’s Skinboosters Injectable Treatment has been scientifically proven to improve skin smoothness and elasticity. It does so by increasing the hydration of the epidermis and dermis resulting in an improvement in the overall appearance of the skin. DLK Fractionated Laser Resurfacing Treatment uses a laser micro beam to treat thousands of pinpoint areas of your skin resulting in a quick healing time and is able to treat a wide variety of skin conditions such as skin laxity, wrinkles, scars, and photo damage. The effect is an immediate tightening and lifting of the skin and underlying tissue. Unlike other lasers, it is useful for all skin types and tones and works on your entire face: forehead, eyes, nasolabial folds, lip lines, chin and even the neck, chest and hands. DLK Intense Pulsed Light (IPL) Treatment uses multiple wavelengths of light to gently remodel the collagen in the skin resulting in a decrease in fine lines and an improvement in overall skin texture and tone. The procedure takes 20 minutes and patients can immediately return to regular activity. DLK Laser Treatment uses specific wavelengths of light to treat the underlying collagen and cause a tightening of the skin and an improvement in fine lines, skin texture and skin tone. The procedure takes 20 minutes and patients can immediately return to regular activities. A series of treatments is recommended for best results. DLK Chemical Peels are topical preparations including lactic acid, glycolic acid and salicylic acid which act to improve skin surface texture and pigmentation. The procedure takes 20 minutes and patients can immediately return to regular activities. DLK Medical Skin Care Program is a customized at home daily regimen consisting of medical grade skin care products to optimize treatment effects and maintain good results. Programs are customized for each patient to ensure they are using the best products for their individual skin care needs. Results are variable according to the treatments prescribed. 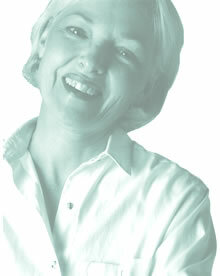 Up to 80-90% of patients notice an improvement with skin tightening and overall skin tone. Cost: Since every DLK Skin Laxity Treatment Program is custom designed for each patient, the cost will vary. A quote will be given during consultation.